Wishbone Day: Lookin' good with our awesome new community partners! Lookin' good with our awesome new community partners! Wishbone Day just wouldn't be complete without a fancy yellow shirt or that lil Wishbone Day guy splashed across your coffee cup! 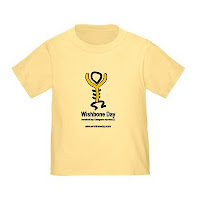 This year we've included some new items in our Wishbone Day merchandise store. Check them out. What's even more exciting is that this year we have our awesome new community partners in Rotary - which means Wishbone Day can add a small profit to the sale of our Wishbone Day promo gear. 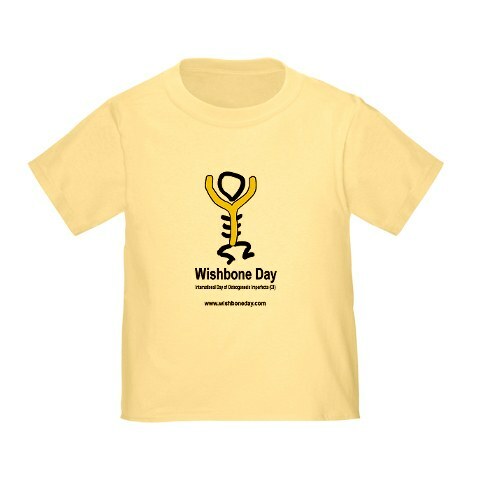 This year for the first time we've added a 15% profit to all our Wishbone Day promo items. Rotary Dee Why Warringah will manage the funds and at select times (when funds are raised) will donate to programs, services or organisations supporting people and families with OI (e.g. OI Australia, Northcott Disability Services, etc). We'll post info each time this occurs. The focus of Wishbone Day will always be on awareness raising. We do however recognise that there may be times when funds are generated in the process of awareness activities. If that is likely for your event or activity then you must have your local Rotary Club register with Wishbone Day to support your event or activity. Your Rotary Club will then be responsible for funds raised and will donate it on to your local OI association on our behalf. You must register your Rotary Club with us before raising funds! Contact us for support or information. Wishbone Day is growing with you! Time flies when we blink!